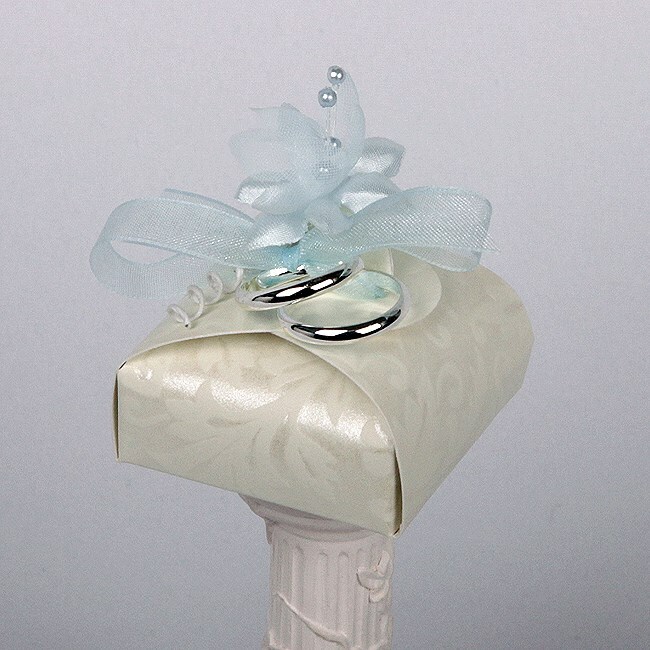 Our diamante embossed design boxes are a beautiful addition to our box designs. A classic design in ivory with an embossed floral design trimmed with babies breath flower(s). Finished with a satin looped bow and tied with organza ribbon. Box size. 4.7cm x 4.7cm x 1.7cm.